Janis looks all happy and ready to party! This poster measures approximately 24" x 36". 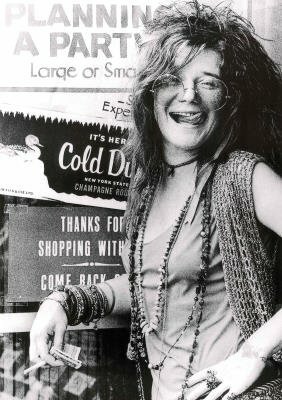 Officially licensed Janis Joplin merchandise.